From adult tastings to fun and unique sampling for the entire family, plan to take part in the tasting experiences offered during the festival. 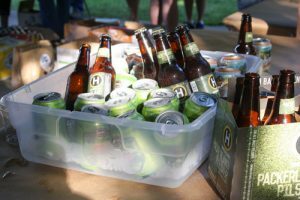 The Corks & Kegs adult tasting experiences feature local and regional craft beer, wine and hard cider. This popular event is a happy hour like no other. Your ticket grants you entrance to unlimited sampling and light appetizers. Enjoy live entertainment while you mingle and compare tasting notes for over 40 craft beers, wines, and hard ciders from the Midwest, many from within a 40-mile radius of the festival. Each guest will receive a souvenir tasting glass. Tickets will go on sale June 1. Only 125 tickets will be sold for each event! It’s the ultimate brewery face-off! 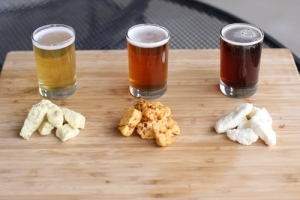 Five local breweries battle it out for best brew and cheese curd flavor pairing. Who will win? That’s up to you–You’re the judge for this intense (and tasty) competition! These flavor combinations have never been sampled before… until now! Tickets will be available online (June 1) and onsite at the Festival. All 5 tastings for $10. Voting will take place online and the winning brewery’s craft and curd pairing will be announced at the festival upon tabulation of the votes. 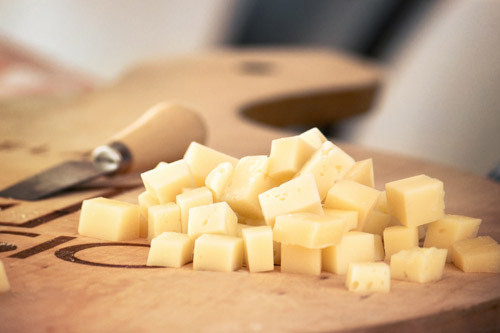 Join us for a Block Party dedicated to the cheese lover in all of us! You’ll take a delicious trip around the state as you sample unique Wisconsin cheeses, each with their own Claim to Fame. The Spiciest Cheeses in our state… we’ve got ‘em! Wisconsin Cheese Oddities… yep, you’ll taste those, too! Aged cheeses, new cheeses, Wisconsin crafted versions of famous European-style cheeses… over 40 types of cheeses will be available for tasting! Guest cheese experts will be on hand to answer your questions and share how our dairy state and all our cheeses, came to be so famous, not only in the Midwest but all around the world! Tickets will be available online beginning June 1. 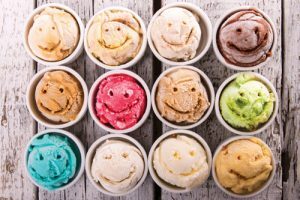 A great time for the entire family, this one-hour real dairy flavor celebration features creative combinations to tickle your tastebuds. Tickets for this tasting cost $1 each and are available to purchase onsite. Whether you’re a kid or a kid at heart, there’s something special about milk and cookies. We’ve especially paired four milks with four popular freshly baked cookie flavors. 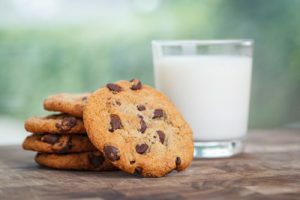 It will be interesting to see if the “Classic” chocolate chip cookie with whole white milk will survive the test of time, or if one of the other unique pairings, such as the Cinna-Yum… salted caramel milk perfectly paired with a Snickerdoodle, will become the new favorite! This year’s Cookie & Milk flavors will be announced soon! Tickets for this tasting cost $1 per tasting and are available for purchase onsite.